This is a geographical contour plot with color scale linked to elevation. 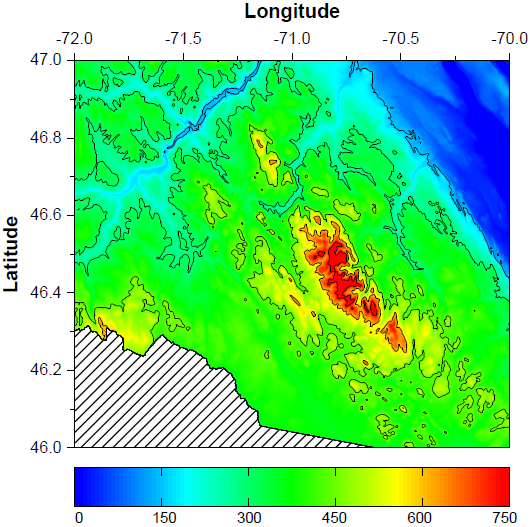 Missing elevation values are represented by hatching. The color scale object is by default vertical. It was set to be horizontal by simply resizing the object. 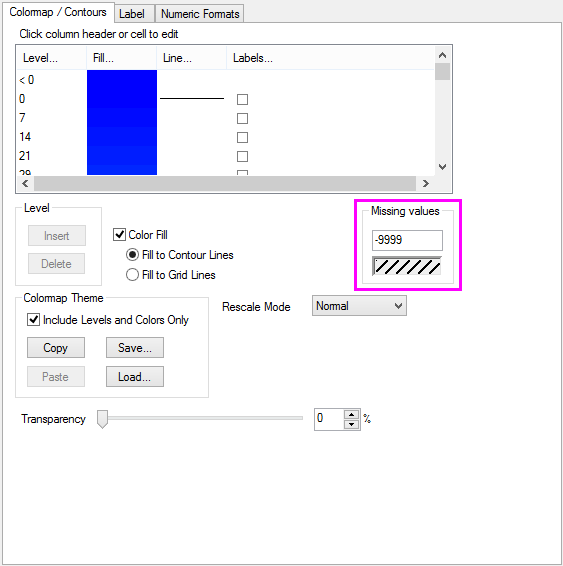 The missing value fill pattern can be specified in Colormap/Contours tab.